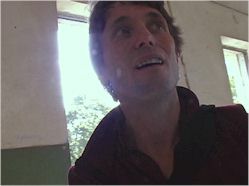 Reviews & Viewer Comments on "Finding Dzhulynka"
"This impressive program chronicles an American family's search for their roots as they travel to Russia and Ukraine in 2001. ... background historical information and the impact of the Russian Revolution on this family are well presented. Suggested for public library family history and Russian heritage collections." "Recommended, particularly if your library has a Russian collection." "A resonance of, and a link with, the past that sends shivers down the spine." "A unique and splendid production that should delight the viewer. Rating: Highly Recommended"
"Finding Dzhulynka makes the history of late Imperial and Soviet Russia come alive. The DVD is as gripping as a mystery story and as compelling as a romance novel." "I was riveted by your story and how well you told it. Brilliant." 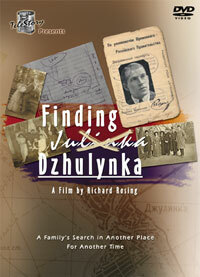 "Finding Dzhulynka is a wonderful story -- poignant, emotional and compelling. The film takes us along, making your journey an interactive one -- it personalizes the process. It is a true labor of love." "I can never tell you how much your film moved me and brought tears to my eyes. You captured the essence of the past and all I had always imagined about the Russian people and the horrific trials they have endured." "It is amazing! It was very well done. I feel as though I went there too!" "I did not want this to be over! It was fabulous. It has the quality of a good mystery. There are so many in this country that have lost their roots. This is very, very important. So profound!" "Thank you for your superbly done video. It was a masterpiece." "Your video is fabulous! What a story." "Your film is a work of art. 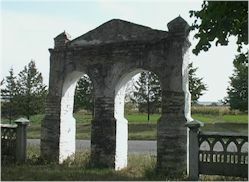 It is truly a triumph of time and place and personal tenacity." "I enjoyed the mystery of your search. What a great gift you have created." "It's truly a work of art."